We've already reported about the latest update HTC released for its Edge Launcher app earlier today, but here is another app that has probably gone unnoticed by many HTC smartphone users. The new app is, in fact, a tool called HTC Screen Capture, which does exactly that, but with a twist. Besides being able to capture screenshots from your smartphone, you can also edit them or add text and drawings. Once you take a screenshot, a menu will pop up with options like Scroll, Partial, Edit, Share, and Save. The first option, Scroll enables you to preview what you're capturing on your smartphone. The catch is that the more you scroll down, the more content you'll be able to capture in a screenshot. The Partial option simply allows you to crop a screenshot, while the Edit feature enables you to add text or drawings. 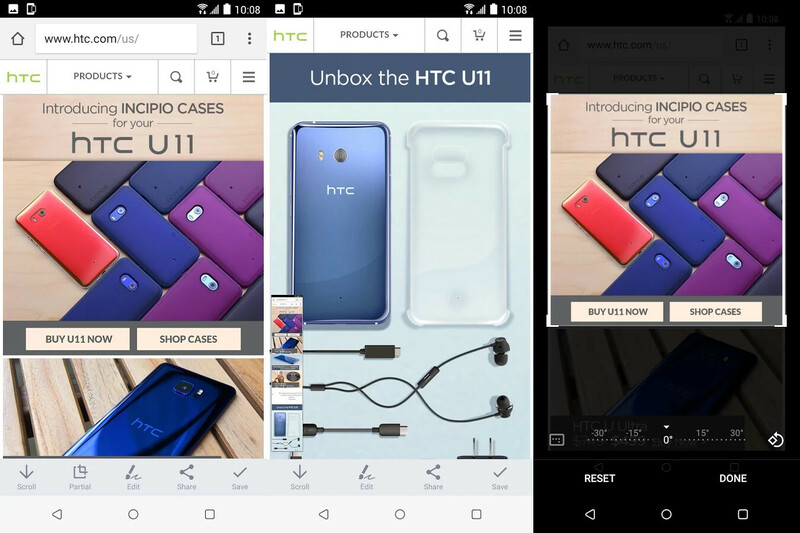 As you can expect, the HTC Screen Capture tool is available to HTC smartphones only. Moreover, even if you own an HTC smartphone you can't install the app unless your device runs Android 7.0 Nougat or up. Nothing beats Samsung palm swipe. No application needed. I dunno man ¯\_(ツ)_/¯, maybe instant screenshot edition available from one tap... maybe. Looks interesting, might give it a go.